Donkey milk was once so coveted that people used snails to make an artificial version. What makes your skin look great, cures what ails you, and can be re-created by mixing milk with an ingredient list featuring snails? For much of history, the answer was donkey milk. Since antiquity, the wealthy have turned to donkey milk as a cosmetic—Cleopatra was said to bathe in tubs full of asses’ milk to preserve her skin. Hippocrates recommended donkey milk for a range of conditions, and from the 1700s to the early 1900s, Europeans considered donkey milk a superfood that cured lung problems, blood problems, and even hysteria. Poet Alexander Pope drank donkey milk for his many health issues, writing in a 1717 letter, “I also drink asses’ milk, upon which I will make no jokes tho’ it be a fertile subject.” Since the composition of asses’ milk closely resembles human breast milk, orphanages and new parents found it helpful too. Cleopatra’s donkey milk baths were a huge extravagance, and the distinguished dairy drink remains expensive and rare, costing over $35 a liter. Donkeys, like other equines, don’t produce much milk. A mother donkey produces just one liter a day for six months, and only if her foal is around. But due to demand, people concocted asses’ milk alternatives made of herbs, grains, and even snails. 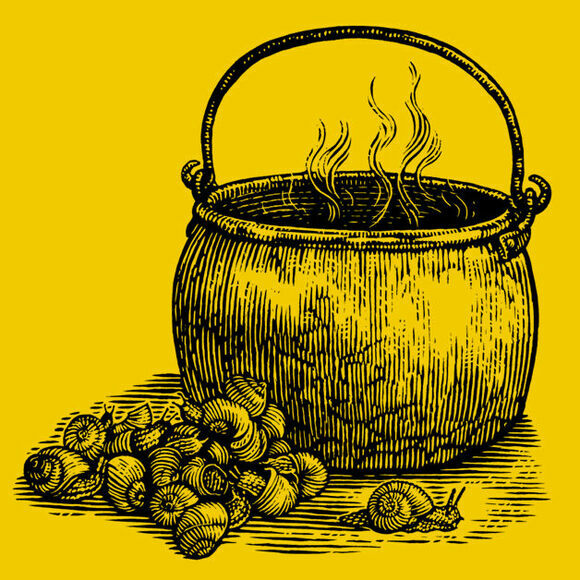 Take two ounces of pearle barley, wash & scald it, put that water away–then take two quarts of fresh water, boil the barley in it with half an ounce of hartshorn shavings, half an ounce of eringo root, 8 or 10 shell snails rub’d clean & bruis’d, boil those to gether till half is consum’d, then drain it, & have a pint of Milk just boil’d, & when both are cold, mix them together, keep it for now & when you take it sweeten it with brown sugar. With the introduction of modern health supplements and baby formula, even real donkey’s milk fell from fashion. But its appeal isn’t gone. Marketers and doctors tout it as an alternative for people with cow milk allergies, and it has trended in the beauty products and superfoods worlds. If rising popularity leads to a shortage, there are plenty of snaily substitutes ready to be cooked up. No one makes artificial asses' milk anymore, but for those brave enough to want some, snail season starts in the summer. These massive, booze-filled cakes once made voting sweet.